TWA instruments generate a true DC ripple free current with an automatically regulated measurement and discharging circuit. They are designed for six-winding resistance measurements of power and distribution transformers alongside resistance measurements of inductive test objects. In addition, the TWA40D provides powerful tap changer analysis options by using proprietary, non-intrusive DVtest features. Transformer measurements performed with TWA instruments require only one single-step cable setup which is fully compatible with the TRT Series of Turns Ratio Testers. To achieve optimised stabilisation times the test current can be automatically passed through the HV and LV windings simultaneously to dramatically reduces testing times. 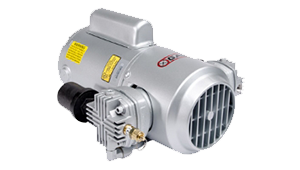 To further reduce test times the TWA Series are capable of both single-phase and three-phase auto demagnetisation. All DV Power instruments come complete with intuitive analytical software. 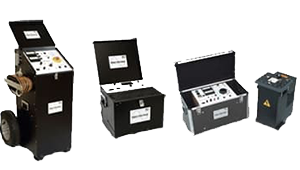 Three-Phase Winding Ohmmeter and Tap Changer Analyser for six winding measurement. Includes a built-in tap changer control unit and a one-time cable set-up is interchangeable with the TRT Series of Tap Changer Testers. 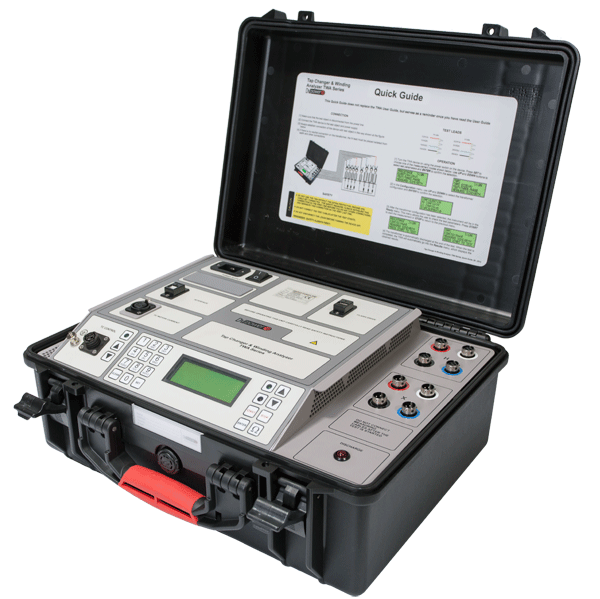 Fully automated Three-Phase Winding Ohmmeter and Tap Changer Analyser for six winding measurement. Includes a built-in tap changer control unit and the one-time cable set-up is interchangeable with the TRT Series of Turns Ratio Testers. Enables simultaneous three-phase dynamic resistance measurements (DRM). 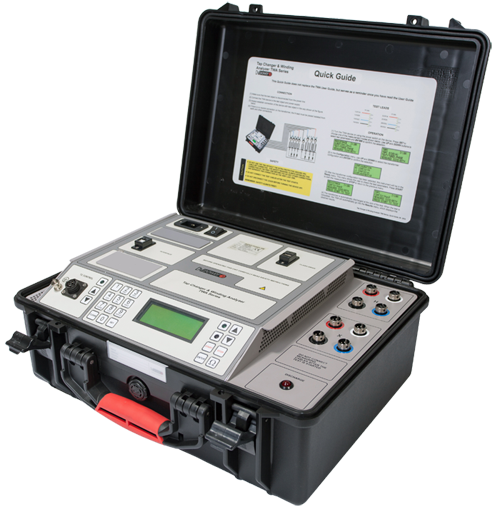 Also facilitates a quick YN test which is a unique proprietary test method developed by DV Power to measure the three-winding resistances on a tap changer at the same time. This allows resistances to be measured in all tap positions in all three phases with a single pass through the tap positions.